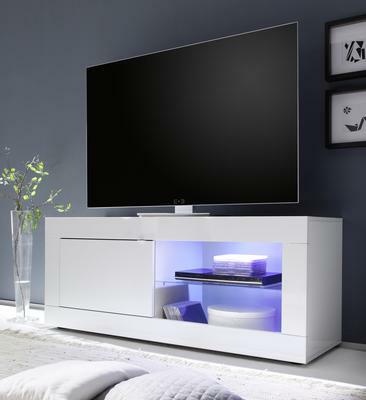 Urbino Collection Modern Small TV Stand in White High Gloss Lacquered finish with left side opening door with contrast metal catch and internal storage space. 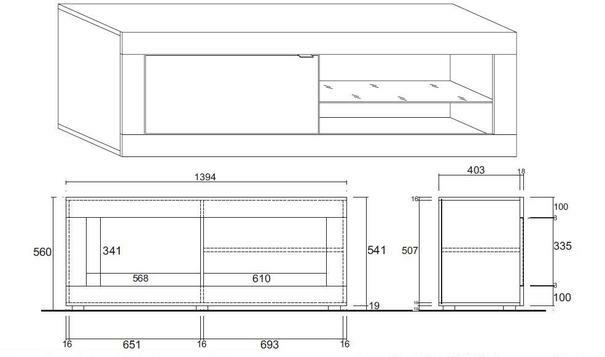 Open right side space with glass shelf and AV access point. Colour changing LED Spot light supplied with remote controller, 16 light variations including standard white.